V8949 Lace Dress- Inspired by GBSB 3 Episode 5! Did you catch the Great British Sewing Bee final? Well done to Matt – I think he was my favourite from the start! However, did you see all those lovely lace skirts they made last week? Last year for GBSB Series 2 I took part in my very own ‘Sewing Bee Sleeveless Top’ challenge (you can see how that make went here). Not one to break with tradition, this year for GBSB Series 3, White Tree Fabrics were very kind to set me another challenge! This time it was a lace challenge – though ‘challenge’ is perhaps an understatement. The pattern I used for my GBSB lace challenge was the Vogue V8949 dress, an ‘Easy Options’ sewing pattern that features both long sleeve and sleeveless dresses with a lace overlay. I chose to make view C for the a-line skirt but then added the lace sleeves from view B to make it a bit more ‘demure’ and more like an evening dress. The pattern itself is made up of lots of separate panels for the skirt, a front bodice, a back bodice, a waistband and two decorative peplums over the hips. I quite like the added peplum feature, it’s not something I’d ever have thought to try but the end result is quite effective. Definitely one I’ll be keeping in mind for future projects! I also rather like the addition of lace sleeves, although I did make them a little too big for my liking. You live and learn – and I certainly did learn a lot whilst making this dress. What do you think? Have you ever sewn with lace before? Has the episode inspired you to try? Here are a few of the other White Tree Fabrics bloggers makes (which are all so much better than mine!) – check them out! Your dress is super cute and fits very well! Working with slick fabrics gets a lot easier with practice, and you’ve just had a great big bunch of practice! thank you so much! it actually looks much better now that I’ve gone away from it for a while and then come back to it…… it’s grown on me, haha! Love your dress, it looks like you’ve done an amazing job with it. Thank you! Lace is quite a challenge if I didn’t already make that clear haha, it’s very slippery and stretchy so quite hard to sew with. Definitely worth the time though! Wow – that’s a beautiful dress – you must be pleased with it. I enjoyed the final, but thought that Neil was going to win before the final episode. Woah! It sounds like that lace was super tricky to work with, but the dress looks beautiful now you’re done! That scalloped hem is perfection, Louise! 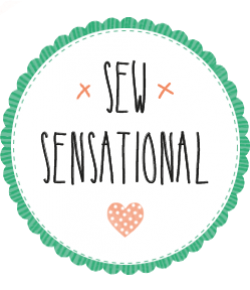 Lovely to take a bit of inspiration from the Sewing Bee, too — it has been such a great season, lots of wonderful ideas to try. Thank you Jen! I thought the scallops were a lovely feature to the lace too – I’ve done them around the sleeve edge as well which you can just about see. Saves a lot of time in not need to hem anything, haha! I love that lace and you’ve done a great job with that dress! I don’t think we would ever progress as much as we do without being given ‘challenges’ and ‘deadlines’. I’m itching to try lace but want to perfect a few more skills first. When you can tackle lace and get these results, you know that it’s time to change the write up of your blog from “the sewing blog of a budding seamstress” to the blog of an accomplished dressmaker. This is just gorgeous Louise! Looks lovely, the lace is so pretty, a great choice. This is a gorgeous dress! I’m still a beginner so sticking with simple cottons for now but would love to try this one day! I think this is my favourite of all your creations! Wow, I’m definitely chalking that up as an achievement! thank you! Lovely fabric – I’m inspired to try working with a lace fabric now!